Ford, Clifford. "Boris Roubakine". The Canadian Encyclopedia, 07 June 2017, Historica Canada. https://www.thecanadianencyclopedia.ca/en/article/boris-roubakine-emc. Accessed 21 April 2019. Pianist, teacher, b Clarens, Switzerland, of Russian parents, 9 May 1908, d Calgary, 30 Apr 1974. He studied piano with his mother 1916-20 and with Mathilde de Ribaupierre in Lausanne. Boris Roubakine. Pianist, teacher, b Clarens, Switzerland, of Russian parents, 9 May 1908, d Calgary, 30 Apr 1974. He studied piano with his mother 1916-20 and with Mathilde de Ribaupierre in Lausanne. He studied theory and composition with Aloys Fornerod 1926-8 in Switzerland and piano with Paul Loyonnet, composition with Dukas, and piano literature with Nadia Boulanger 1928-30 at the École normale de musique, Paris. Roubakine performed often in Switzerland and taught 1930-40 at the Institut de Ribaupierre. As the piano partner of the violinist Bronislaw Huberman 1939-46 he toured in many parts of the world, including the USA and Canada. Roubakine lived for a few years in New York before moving in 1949 to Canada, where he taught at the Senior School of the RCMT and later at the University of Toronto. After settling in Canada he performed throughout the country and in Holland and Switzerland with the violinist Betty-Jean Hagen and came to be known nationally as a teacher, examiner, and adjudicator. After 1957 he headed the piano department of the Banff SFA. He gave lecture-recitals and pedagogy workshops at the University of Alberta 1955-60 and taught piano at the University of British Columbia 1961-7 and at the University of Calgary from 1967 until his death. 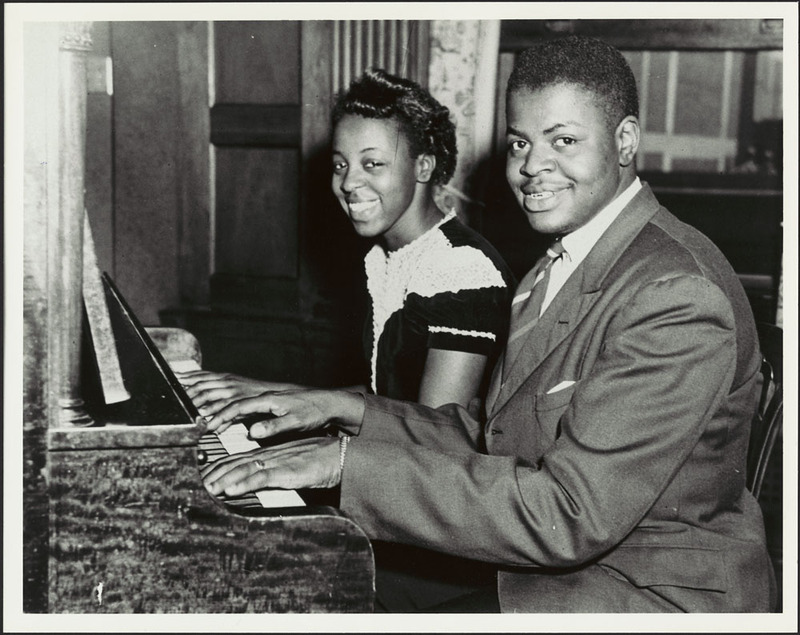 Among his pupils were William Aide, Gwen Beamish MacMillan, Howard Fuller Brown, Ann Burrows, Diana McIntosh,Arlene Nimmons Pach, Arthur Ozolins, Willard Schultz, Tony Strong, and the Swiss pianist Nicole Wickihalder. An accomplished landscape photographer, Roubakine exhibited in Europe and the USA and gave lectures on photography, donating the proceeds to a piano scholarship fund. After his death the fund was continued in his memory to maintain the scholarships and publish the photos. Roubakine Auditorium in the Donald Cameron Hall at the Banff Centre commemorates his work there and a portrait by Holly Middleton hangs in the hall. The University of Calgary named a recital hall in his honour.